Firstly Login to your Control Panel (e.g. cPanel’s URL will be https://domain.com:2083) and log in with your details. 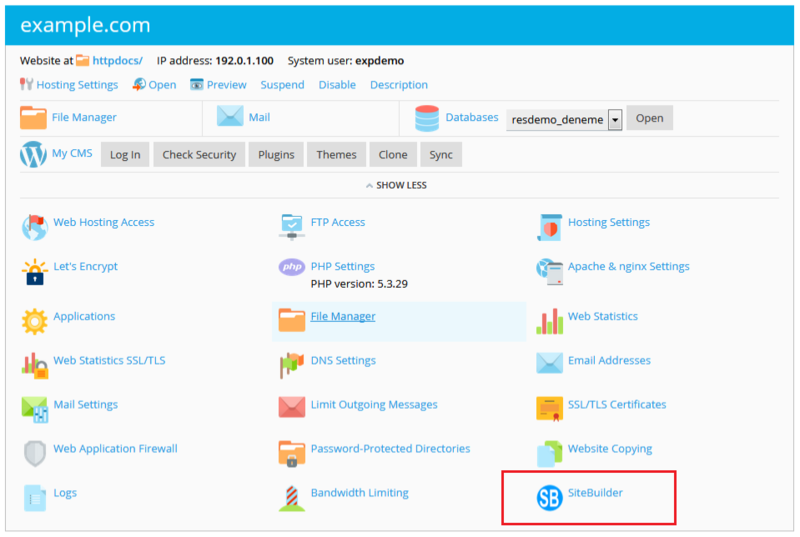 There click on the SiteBuilder Icon or Link. Once you are redirected to SiteBuilder. You will need to hover on Settings and then select Google Analytics. You will be redirected to Google Analytics setting page. 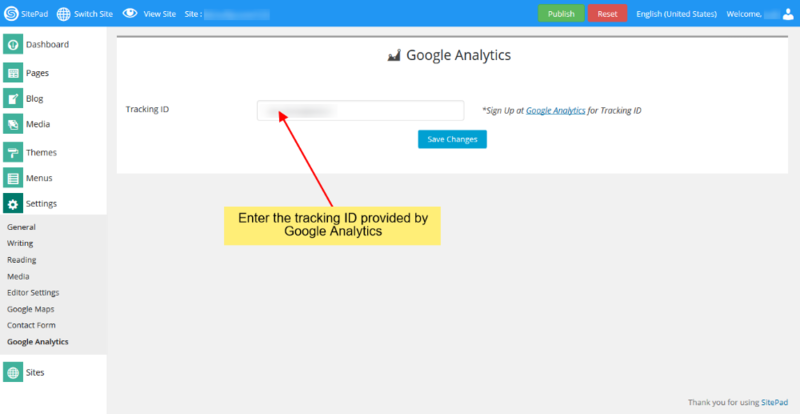 There you will need to enter the tracking ID provided by Google Analytics after adding your account. After entering all the details as mentioned above click on Save Button to save changes that you’ve made. After this when you edit your Site and Publish it. You will be able to track your website traffic from Google Analytics.